mine the center of a cylindrical object. and measure angles to within one degree. may also be used as a height or depth gauge. if you have the auxiliary attachments. 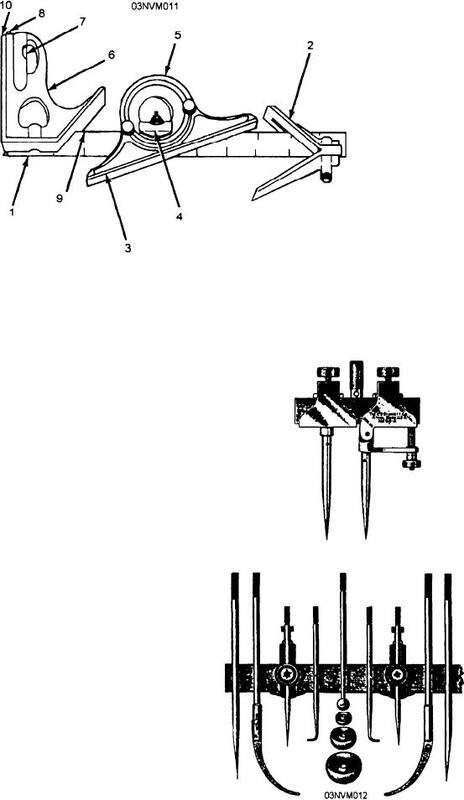 The basic trammel consists of two heads (trams). measuring from the center of a hole.